Paperless Karaoke at Sydney Karaoke. Is it a gimmick? Wait between songs: 20 – 45 minutes before 10.30 pm. The only Karaoke Pub in Sydney on a Monday Night. And there’s five hours of it. There’s a stage and awesome lighting. The host clearly favors people who have been there a while as opposed to last minute drop ins. The karaoke crowd is international, as well as Sydney locals. From Scandinavia to Tasmanian. There is a good international song list to cater for this, although most people sing English language songs. It’s a good idea to get in early if you want to get a few karaoke songs in. If you arrive right at the start you may even get three songs in in the first hour and a half. Good Luck after that, at 10.30ish the backpacker crowd hits. From them on just about every song is a group effort with as many as a dozen people singing at once. Obviously the Host favours these groups over solo performances. It’s Mayhem Karaoke Monday Sydney Style. The venue is packed so unless you got a seat early it’s standing room only. It’s amazing to see a pub this busy on a Monday night. No doubt this is because most of the patrons are tourist who don’t have to work the next day. Fortunately the security is excellent and the crowd is there for a good time. 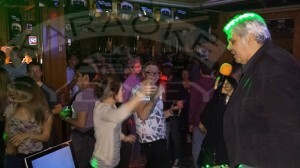 It’s seems Karaoke Monday at O’Malleys has become a Rite of Passage for backpackers visiting Sydney. It could be argued to be among Sydney great tourist attractions. However it’s not just international visitors that make the pilgrimage to this karaoke sacred site. Tourist from all over Australia can be found here. While other venues in the area struggle with the newly enforce 1.30am Lock Outs, this Irish Pub has found a niche and owns it. The sound was excellent and every song was a good version of the track. 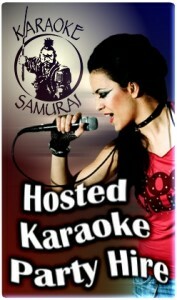 This is a Karaoke Samurai show. 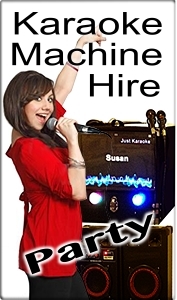 They host a string of shows across Sydney and is well known to karaoke enthusiasts. 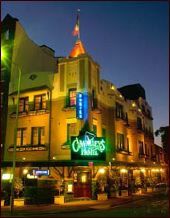 I loved O’Malleys Karaoke Monday Sydney. And I would highly recommend it to anyone looking for a place to party at the start of the week. Great if you’re not working, probably why there are so many tourists and Backpackers. Page – Karaoke Monday Sydney.